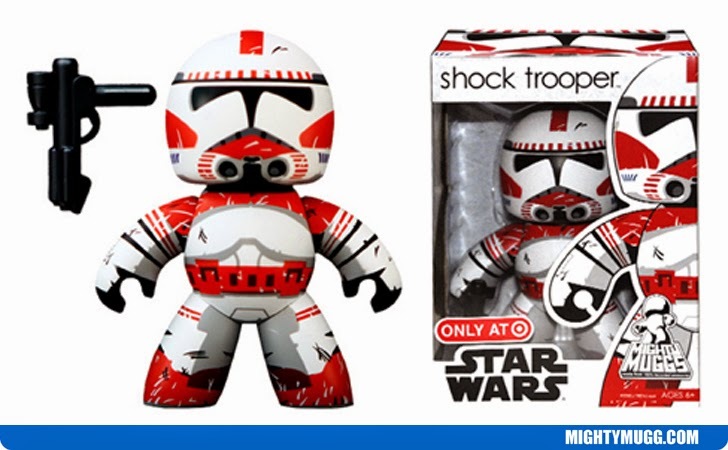 Shock Troopers were specialized military troops who fought for the Grand Army Of The Republic during the Clone Wars under the leadership of Clone Commander CC-1010. After the wars they stayed loyal to the Galactic Empire under the leadership of Emperor Palpatine. They typically served as elite soldiers for operations requiring speed and skill. They first appeared in the film Star Wars: The Clone Wars in 2008. The Mighty Mugg above portrays them in their red and white armor.